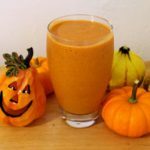 Combining pumpkin and mangos in green smoothie recipes offers a unique combination of flavors that is guaranteed to have your taste buds dancing in approval! 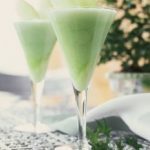 I think these green smoothie recipes could best be described as a tropical fusion, because it combines the seasonal flavors of the holidays with the delicate flavors of the tropics. 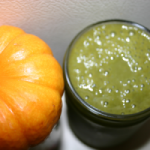 The use of pumpkin in this green smoothie is accented well by the addition of the nutmeg and cinnamon. Alternate spices that you might want to try using include clove and or pumpkin pie spice. Or, if you just want to enjoy the wonderful flavor of the pumpkin by itself, you can leave the spices out altogether. When it comes to using pumpkin, you can either choose to use canned pumpkin or freshly cooked pumpkin. I chose the latter. 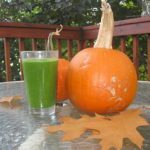 I cooked the pumpkin, let it cool, and then threw it in my blender with the other ingredients of these green smoothie recipes. Fresh pumpkin offers more nutritional benefits than canned pumpkin, but if you’re short on time, canned pumpkin offers a quicker substitute. If you do use pumpkin that comes from a can, I would recommend using about ¾ th of a cup. 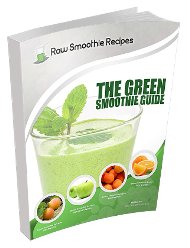 The carrot juice is what gives these green smoothie recipes their distinct flavor. It is also a great source of Vitamin A. If you don’t have a juicer to juice the carrot, you can just use one small, chopped carrot. Just make sure to cut it up well. 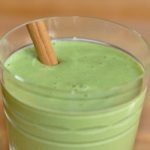 All of the ingredients should be added to your blender one at a time and blended together until smooth, with the spinach being added last. 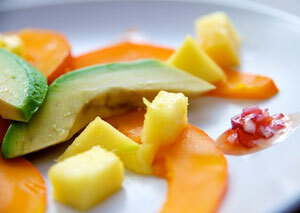 Blend the ingredients together on high for about 30 seconds, or until they reach a creamy consistency. Now, it’s time to enjoy!